We recently reported on Samsung’s plans with the premium Galaxy Note 10 series. It seems the smartphone/phablet will come in two distinct sizes and with the choice of 5G or not. It was already widely believed that the smaller device (6.28-inches) would be the Samsung Galaxy Note 10e, but now thanks to a tweet from Ice universe we seem to have a name for the larger device: Note 10 Pro. However, it does seem a rather odd choice by Samsung if this naming convention ends up being accurate. The Galaxy Note line is already considered a “Pro” line, and if rumors are to be believed, the next-generation phablets are going to be stuffed with high-end features, which makes one wonder how the South Korean manufacturer will “Pro”-up the Note 10. Obviously, it will have a huge 6.75-inch screen to help it stand out from the rest of the “Pro” rivals (Huawei P30 Pro = 6.47-inch; Huawei Mate 20 Pro = 6.3-inch), but what else could it feature? Of course, Samsung could just simply “take” some features away from the Galaxy Note 10e but that could also make that particular device irrelevant; smartphone buyers may as well just choose from Samsung’s Galaxy S10 range if the regular Note is going to be nerfed anyway. 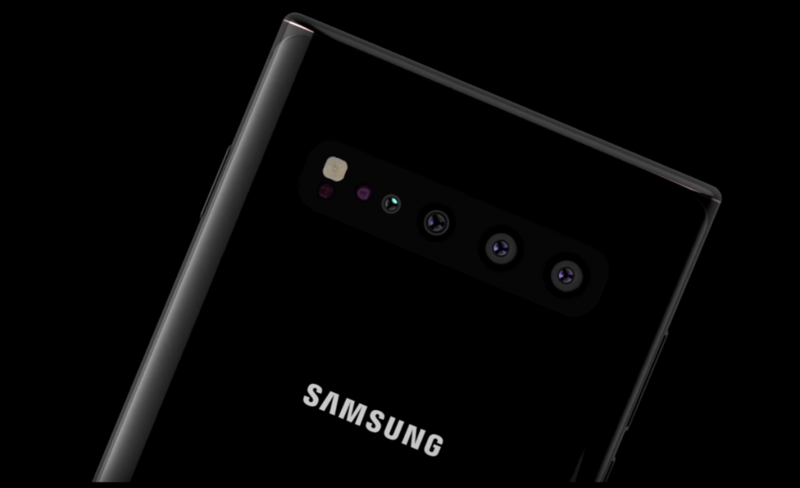 The other option is to give the 6.75-inch Samsung Galaxy Note 10 Pro phablet hardware boosts that we have already touched upon: pressure-sensitive display, UFS 3.0 storage, high-capacity RAM and more cameras.